CHICAGO — As Mayor Rahm Emanuel prepares to leave office, his legislative goals are matching up with those of Gov.-elect J.B. Pritzker as he prepares to take office next month. Emanuel, who has already announced he won’t seek re-election next year, threw his political support behind key Pritzker initiatives including amending the state constitution to allow a graduated income tax and legalizing marijuana Wednesday in an address on pension funding to the Chicago City Council. 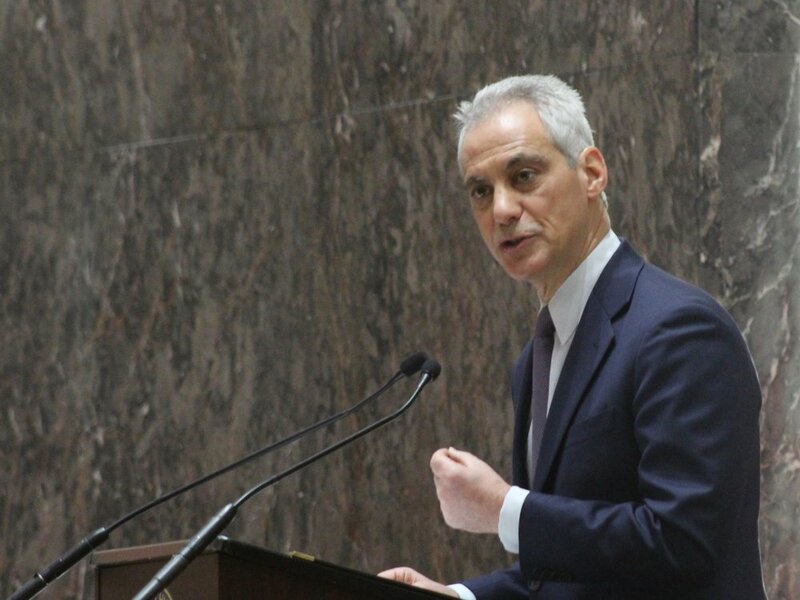 According to Emanuel, the city has made $800 million in extra pension payments to address shortfalls since 2014, but still faces an extra $276 million in police and firefighter pension payments in 2020 and $310 million for other city pensions in 2022. Exponentially larger, Illinois has a pension debt that’s been estimated at $130 billion. Emanuel announced support for amending the state constitution to allow altering pension benefits — including cost-of-living hikes he called excessive given the low rate of inflation — as well as allowing a progressive income tax. He also supported legalizing recreational marijuana, with plans to allot Chicago’s share of the revenues directly to pension funds. He also pushed for the General Assembly to allow a Chicago-owned casino, again with revenues going directly to city pensions. He said state Rep. Bob Rita of Oak Lawn would sponsor a bill on that proposal next month. “I believe recreational marijuana has social costs that must be considered,” Emanuel said toward the end of his half-hour speech. “And, like a casino, revenue would take time to be realized. “You’re not going to solve this problem just with more money from taxpayers,” Emanuel said, citing the reasons behind his multi-pronged approach. Emanuel did not mention gas taxes in his speech, but on Tuesday he sided with suburban mayors saying they’d support a 20- to 30-cent-a-gallon hike in gas taxes to help fund a statewide transportation capital bill. Emanuel acknowledged political “headwinds” in the General Assembly, and was asked if, as a lame duck, he still had the clout to exert an influence on legislators.